Match is played in three sets of three games in each set. In case of equality of points in the set additional matches with a shortened time control will be held. Prize fund is one million rubles (more than $ 30 000). The winner will receive 60%, the loser will receive 40%. According to the rules additional match from three micro-matches will be played for determination of the winner. Nikolay Struchkov won the first micro-match of additional match! 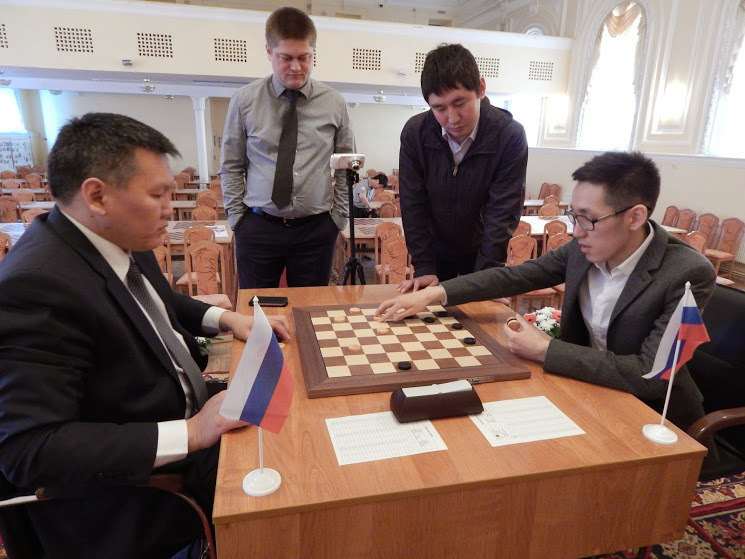 In the second micro-match Gavril Kolesov won the first game and Nikolay Struchkov won the second game. Nikolay Struchkov after 2 micro-matches leads in additional match 3-1. 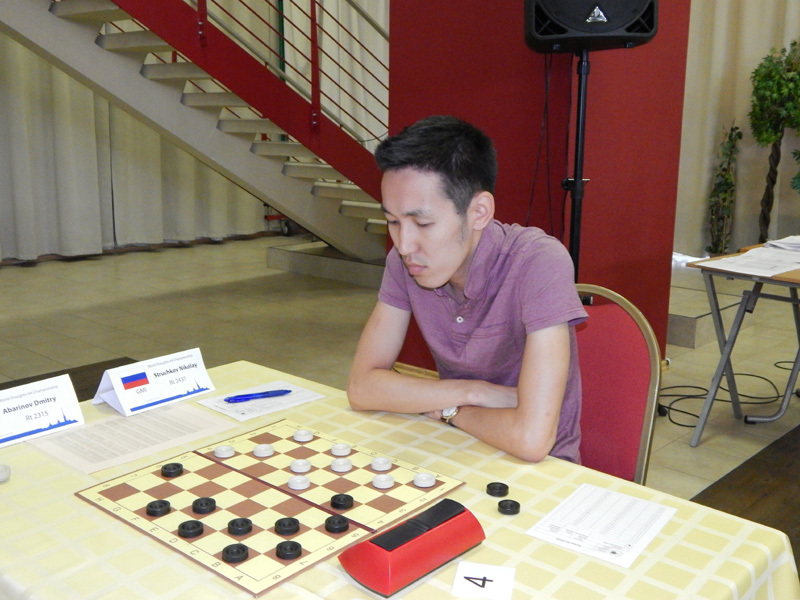 Gavril Kolesov won the first game in the third micro-match but could not resist the in the second game. Nikolay Struchkov – World Champion 2014! The first game ended in a draw. 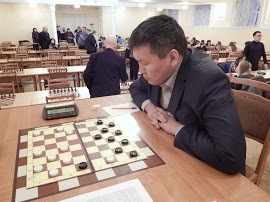 Nikolay Struchkov won the second game of micro-match. Thus, Nikolay Struchkov won the third round and won the second set 4-2. 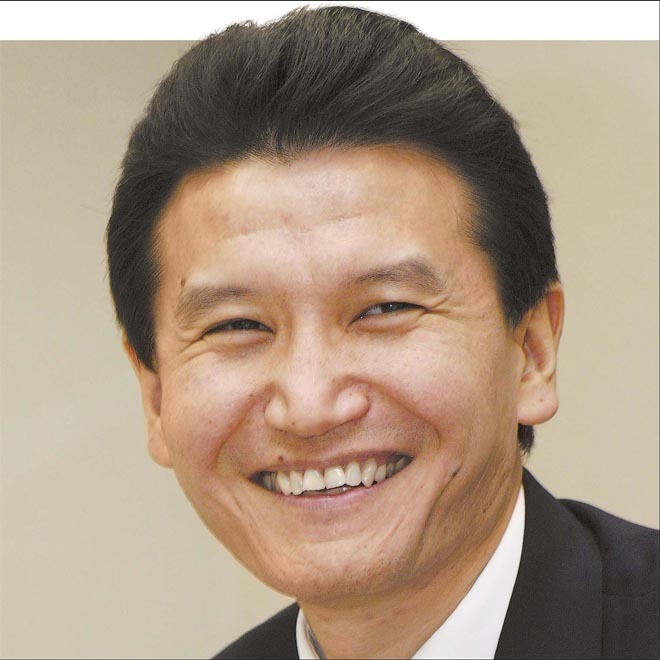 President of the International Mind Sport Association (IMSA) Kirsan Ilyumzhinov sent greetings to participants of the match. Session of simultaneous game was held today. Students from universities of St. Petersburg and students of SDYUSSHOR Chess and Draughts took part in the session. 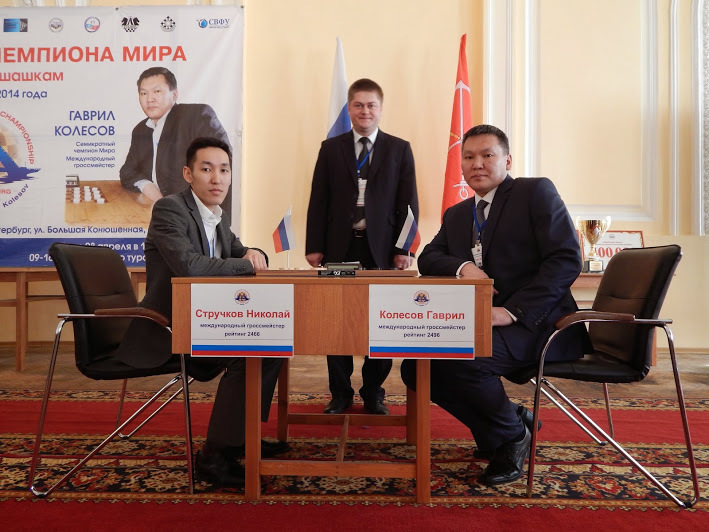 Session of simultaneous game was held by International Grandmaster from Yakutia Alexander Azarov. 30 people attended the session. Alexander Azarov won 25 games, lost 2 games and draw was in 3 games. Victory over international grandmaster had Master of Sports Ruslan Pescherov and candidate of master Anna Filipenko. Kriskevich Maria and Ekaterina Ivanova played draw games. The first game ended in a draw. 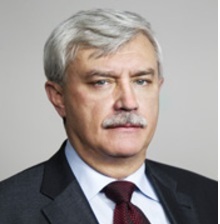 Gavril Kolesov won the second game of micro-match. Thus, he won the third round and won the first set 5-1. 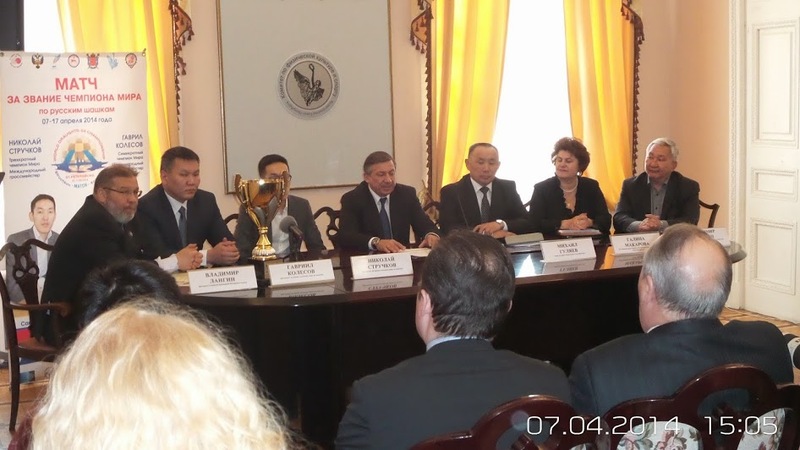 Press conference on the match for the world title in Russian draughts Struchkov – Kolesov was held April 7th at the Olympic Hall of Committee for Physical Culture and Sport of St. Petersburg. 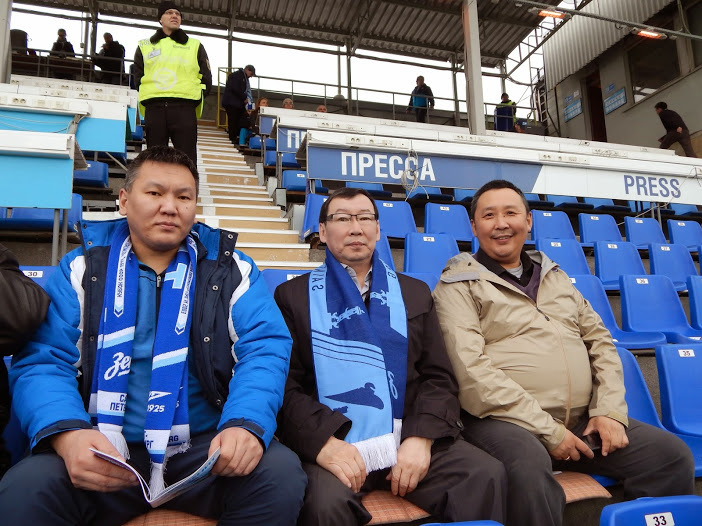 The press conference was attended by a member of the St. Petersburg government, Chairman of the Committee for Physical Culture and Sport Yury Avdeev, Minister of Sport of Yakutia Mikhail Gulyaev, president of the International Draughts Federation Vladimir Langin, President of Draughts Federation of Yakutia Vladimir Kychkin and participants of the match Nikolay Struchkov and Gavril Kolesov. reigning world champion 2013 (St. Petersburg, Russia, 4-14.08.2013). challenger, world champion 2012 (Lille, France, 15-23.08.2012).